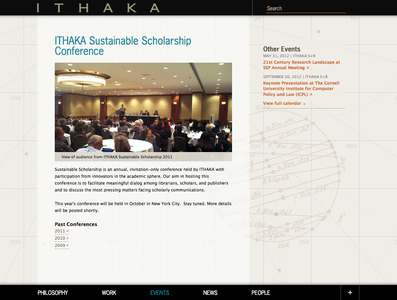 ITHAKA is a nonprofit organization that helps the academic community use digital technologies to preserve the scholarly record and to advance research and teaching in sustainable ways. It is the parent organization to Ithaka S+R, Portico, and JSTOR, which all function within the larger academic community. 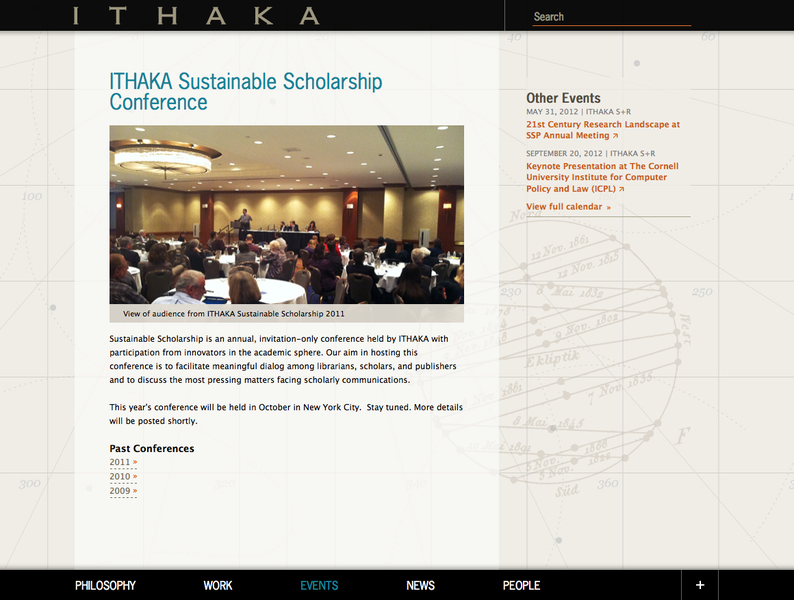 The ITHAKA website was in need a organizational and visual update. Through the redesign we clearly stated the goals, history and composition of the organization. We also accommodated for the large events that the organization holds often, and allows for those pages to be resources of information for attendees, both prior to and after the event has occurred. 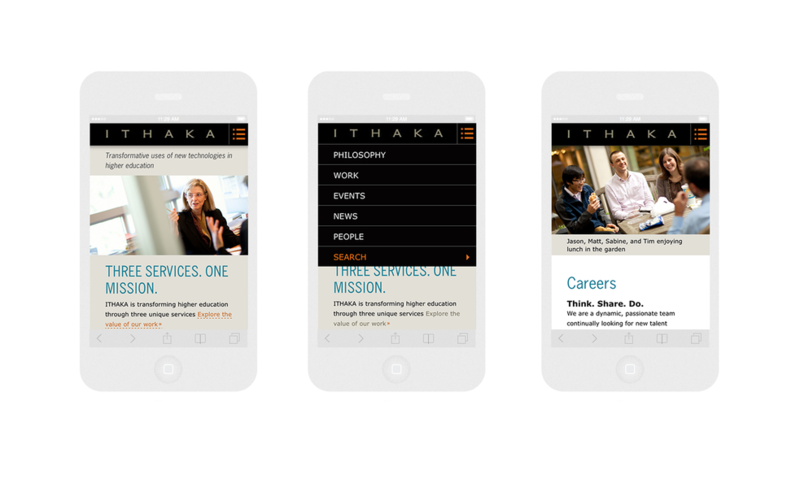 We also optimized the site for mobile formats. Visually the site borrowed from academic engravings, using a calm and restrained palette. Accent colors of blue and orange are used as highlights throughout, and the typography was leveraged to provide a sense of modernity to the work the organization is committed to bringing into the future.